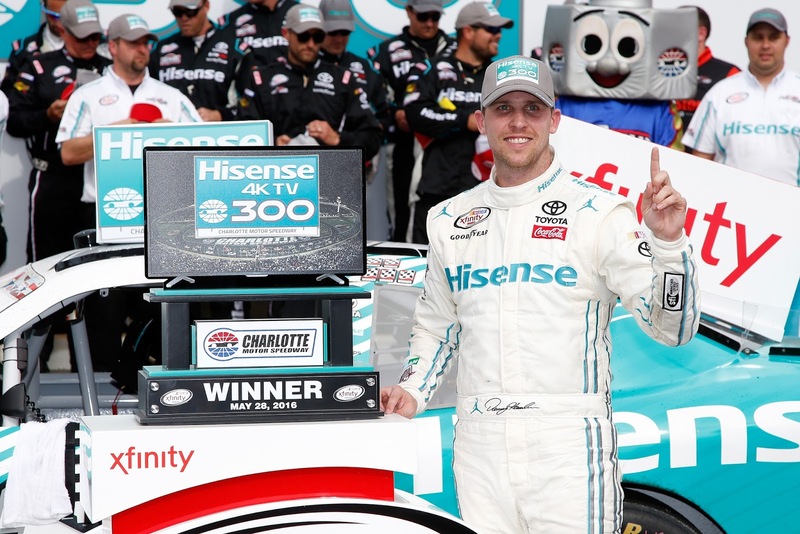 Saturday at Charlotte Motor Speedway was good to Denny Hamlin as well as to various Xfinity Series regulars, with the former taking home the trophy and putting the No. 18 Hisense Toyota in Victory Lane. With a tire violation miring him behind competitors, Hamlin charged through the field and put himself in position as the laps dwindled down. 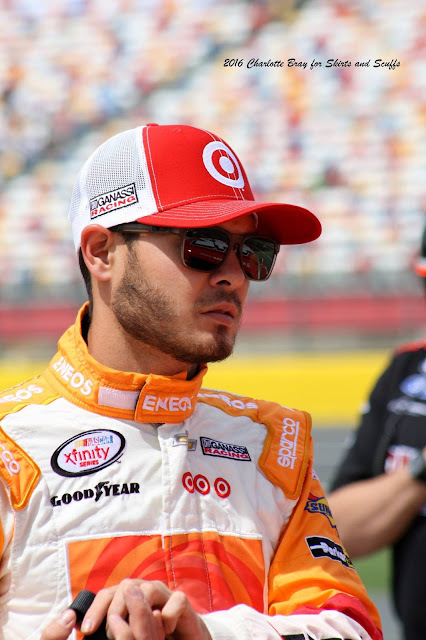 Kyle Larson and Joey Logano battled for the lead over the final dozen laps, but Erik Jones brought out a caution just before Larson took the white flag, putting the race into overtime. Hamlin, who took tires under the caution, capitalized on the fresh rubber and kept moving forward, passing Logano and Larson who both had stayed out. Larson was on Hamlin’s bumper until the car got away from him; the No. 42 hit the wall. The No. 18 took the checkered flag, and Larson came up short once again. However, Hamlin’s win wasn’t the biggest takeaway from the Hisense 300. Though Austin Dillon and Joey Logano took second and third, Xfinity Series drivers had strong showings throughout the day, and the finishing order proves it. JR Motorsports drivers Cole Custer and Justin Allgaier finished fourth and fifth respectively, continuing their organization’s strong season with the top finishes by Xfinity Series regulars. Brandon Jones brought his Richard Childress Racing Chevrolet home in seventh while his RCR teammate Ty Dillon captured eighth place. The NASCAR Xfinity Series will be back in action next Saturday at Pocono Raceway, where the series will race for the first time. 27 6 Darrell Wallace, Jr.
37 7 Ray Black, Jr.